The NFL has announced some major changes to the schedule of games for the 2014 season. There's Jim Nantz, there's Phil Simms, there's 16 Thursday Night Football games, there's eight of them on CBS and there's Saturday games in there somewhere too! The NFL announced a partnership with CBS today for their Thursday Night Football package. CBS and NFL Network will split the 16 Thursday Night games this season. Phil Simms and Jim Nantz will call the Thursday Night games, and NFL network hosts will work alongside CBS for the pre-game, halftime and post-game shows. The NFL confirmed that NFL Network will still air eight late-season games exclusively, without the CBS simulcast. And as part of the announcement, the NFL has also confirmed that there will be two late-season Saturday games in 2014. Last year there were no Saturday regular-season games. So, what does it all mean? It means there will be no more Mike Mayock in the booth talking about what he thought about guys coming out of the draft. 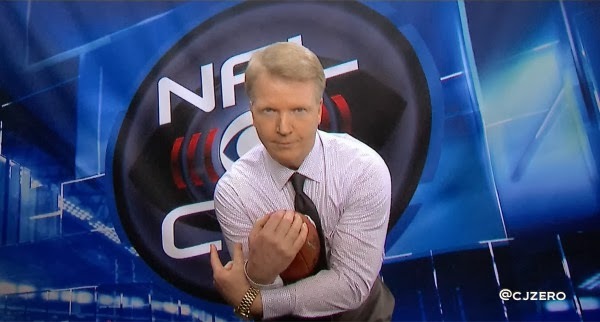 Instead, we'll have more of Phil Simms' nonsensical ramblings. So, everybody wins? It also means that we get two Saturday games at the end of the 2014 season. It was also revealed that these will both be on the same day in a double header in the second to last week of the season. Fun. The NFL has confirmed that the two Saturday games scheduled for the 2014 season will be in a doubleheader in Week 16. There were no Saturday games in 2013, but in past years the NFL has experimented with Saturday afternoon and Saturday night games. So, why was all of this done? Not only will this put the Thursday Night games out to a wider audience on CBS (in 8 of the 16 at least) it also nets the NFL a good chunk of cash. 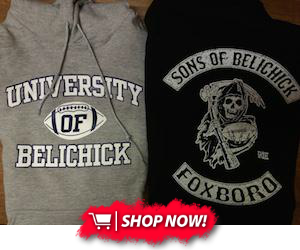 That cash is a big deal for us fans, because it will increase the NFL salary cap, meaning our Patriots can spend more! The good news for the players and the teams is that, by moving eight of the games to CBS, a lot more money will flow through the cash register. The initial bids reportedly fell in the high $200 million range. If CBS ultimately paid $300 million for the package, that money will dump directly into the bucket from which the salary cap is calculated. Offsetting that amount will be the lost advertising revenue for NFL Network, given that the games will be shown both on NFLN and CBS. Few companies will spend as much to roll commercials during breaks of games that no longer are exclusive to the league-owned broadcast operation. Still, even if the net gain is a mere $250 million — and assuming half of the money goes to the players — that’s nearly $4 million per team in extra 2015 cap space.